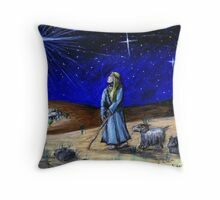 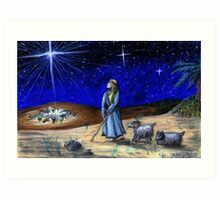 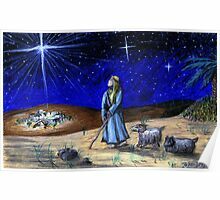 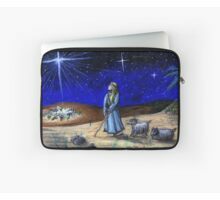 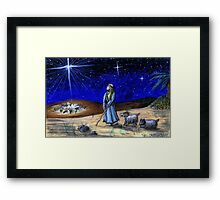 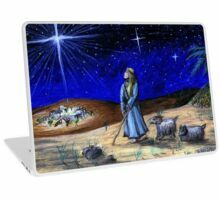 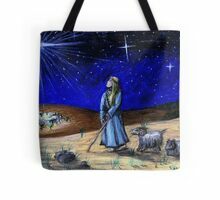 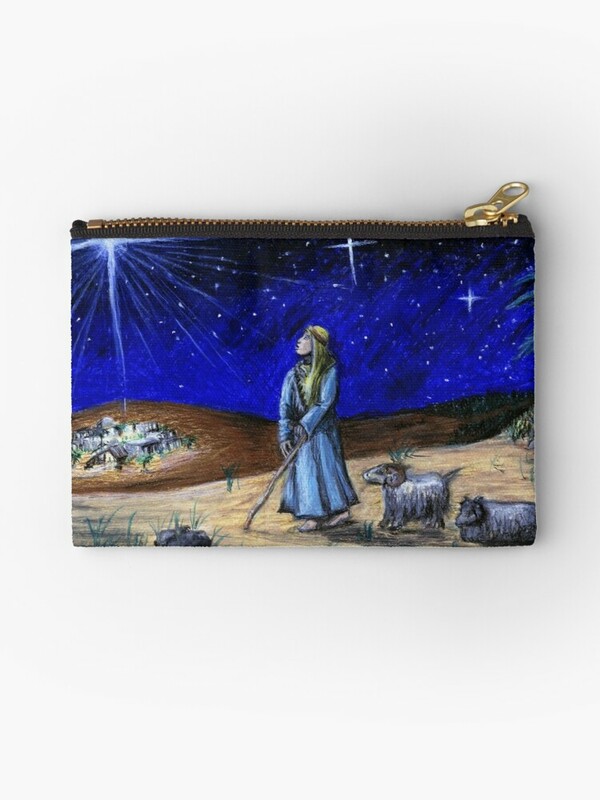 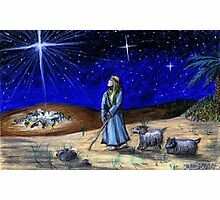 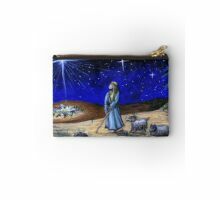 “Silent Night” features a shepherd boy and his flock of sheep overlooking the little town of Bethlehem on a Christmas night, long ago. 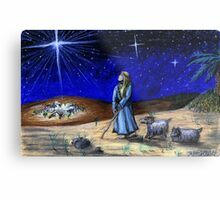 He can just see the stable where the baby Jesus has been born to Mary & Joseph. 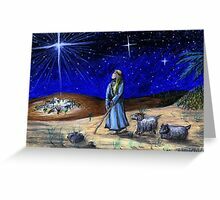 To the east, the three wise men approach on their camels, bearing gifts for the new baby.